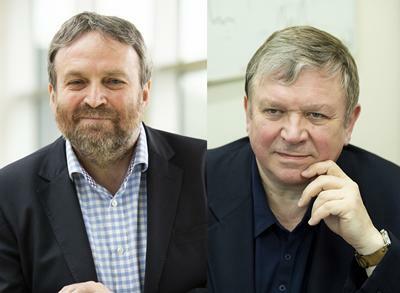 Professor David Richardson and Professor Nikolay Zheludev - elected as Fellows of the Royal Society. Two distinguished scientists from the University of Southampton’s Optoelectronics Research Centre (ORC) have been elected as Fellows of the Royal Society for their outstanding contributions to science. Professor David Richardson and Professor Nikolay Zheludev are amongst 50 new Fellows announced today. This is first time in the history of Southampton that two academics have been elected to the Fellowship from the same University department, in the same year. The Royal Society is the independent scientific academy of the UK and the Commonwealth, dedicated to promoting excellence in science, and is the oldest scientific academy in continuous existence. It is made up of the world’s most eminent scientists, engineers and technologists. Previous Fellows include Stephen Hawking, Charles Darwin, Francis Crick and Albert Einstein. A number of current scientists at the University of Southampton have previously been recognised as Fellows by the Royal Society including Professor Dame Wendy Hall, Professor Timothy Leighton, Professor Sir David Payne and Professor Sir Christopher Snowden. The new Fellowships come just months after the University was awarded a prestigious Queen's Anniversary Prize for Higher and Further Education in recognition of the many decades of inspired innovation by the ORC, a vibrant community of over 200 staff and postgraduate students working on cutting-edge research in photonics – the science and technology of light – to provide solutions for real-life problems. Professor David Richardson, Deputy Director of the ORC, is a pioneer in the field of photonics, best known for his work on fibre optics and its applications. He has played a leading role in developing the data-carrying capacity of future optical communication networks to keep up with society’s insatiable demand for ever increasing internet bandwidth. Professor Richardson has developed optical fibres of unprecedented performance and was one of the first to demonstrate the enormous and revolutionary potential of compact, flexible, pulsed fibre lasers. Over many years he has extended the performance limits of fibre lasers and contributed to their enormous commercial success. Professor Richardson is a Fellow of the Royal Academy of Engineering (2008). He was a recipient of the European Union H2020 Horizon Prize on “Breaking the Optical Transmission Barriers” (2016). Professor Nikolay Zheludev, Deputy Director of the ORC, and Co-Director of The Photonics Institute at Nanyang Technological University in Singapore is one of the founding members of the closely interlinked fields of metamaterials and nanophotonics that emerged at the crossroads of optics and nanotechnology in the early 21st century. Professor Zheludev’s work has had a considerable impact on developing new concepts in which the optical properties of matter can be enhanced and radically changed through precise nanoscale structuring. These properties can then be controlled by external stimuli, or by light itself, through the deployment of nanoscale forces to give access to optical functionalities hitherto unavailable. His work has enabled observation and study of several new fundamental phenomena that are difficult or impossible to observe in natural media. Photonics metadevices and metasystems will be vital for improving performance in many applications that use light and lasers and will play a crucial role in solving key societal challenges such as reducing energy consumption. Professor Zheludev was awarded the Thomas Young medal (2015) for “global leadership and pioneering, seminal work in optical metamaterials and nanophotonics”. This year’s mew Fellows will be formally admitted at an Admissions Day ceremony in July when they sign the Charter Book and the obligation of the Fellows of the Royal Society. 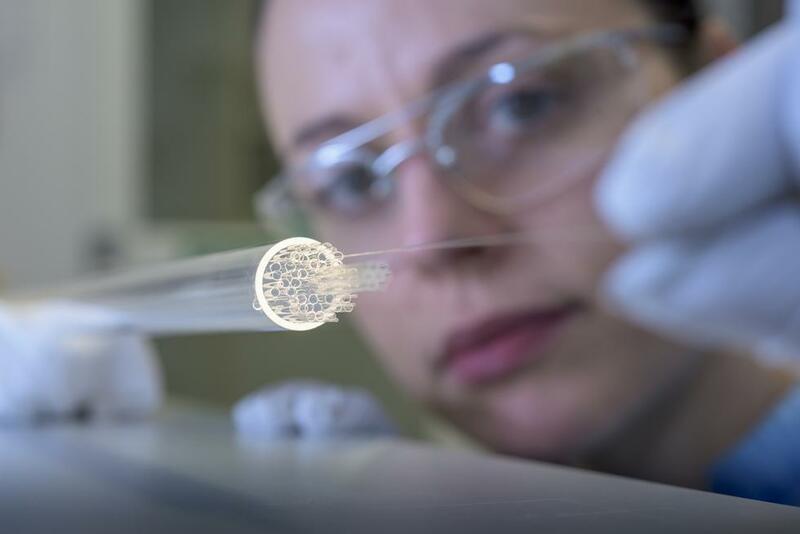 The work of the ORC – the largest and longest established centre of its kind in the UK - has led to breakthroughs in optical fibres, laser manufacturing, next generation computing and new optical materials that power the internet, feed mobile telephone networks and help make life-saving devices.